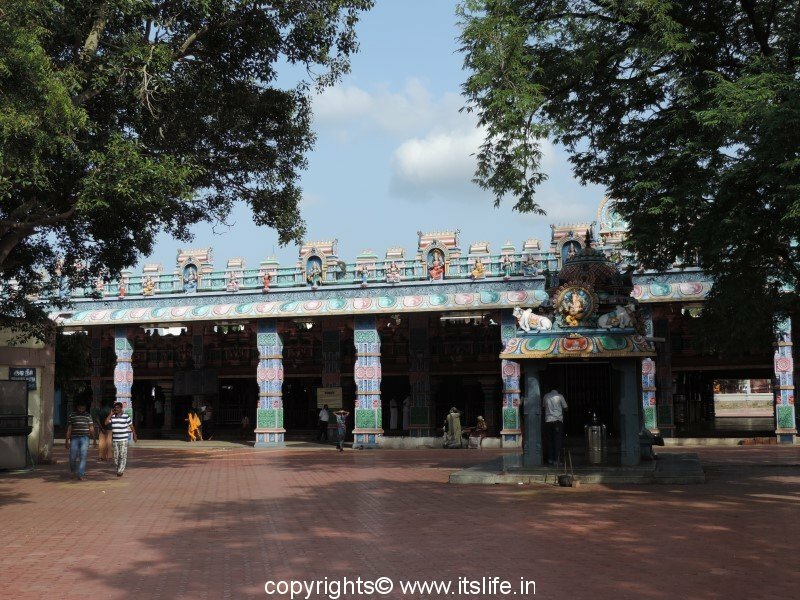 Bannari Amman Temple is situated in the picturesque Sathyamangala forest, West of Tamil Nadu state. 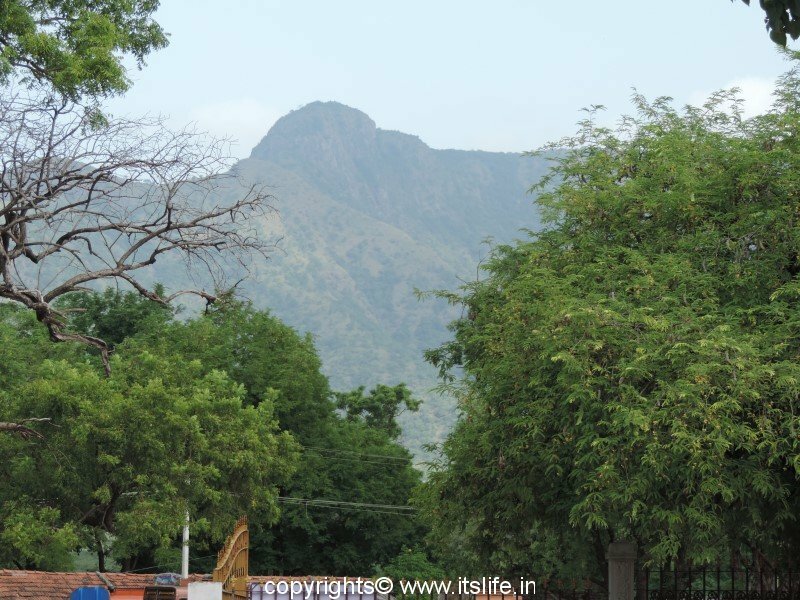 The forest is situated in Erode district. 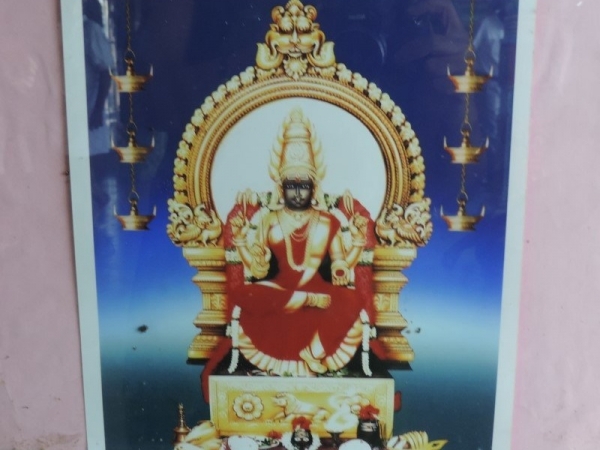 The presiding deity of the temple is Mariamma (goddess Parvathi / Durga). 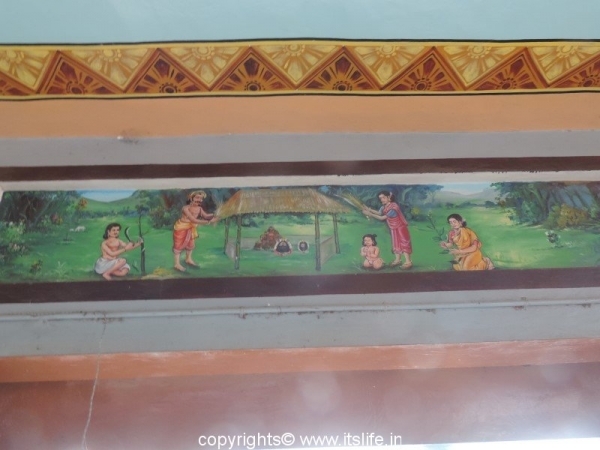 Parable narrates how tigers and cows roamed the forests together. Once a cowherd noticed one of his cow going off from the herd and coming back after sometime. One day he secretly followed the cow and saw his cow stopping under a Vangai (Malabar Kino) tree. 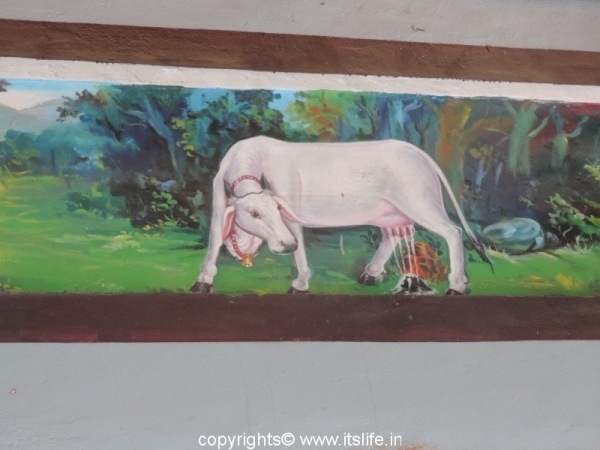 As the cow stood under the tree, the milk started flowing from her udder. This happened many times. The astonished cowherd shared this with his friends and elders. Intrigued by this, people removed the undergrowth and found two Swayambu Lingas. People worshiped the Lingas as Shiva and Parvathi. One of the devotees went into a trance and started telling the message from god. 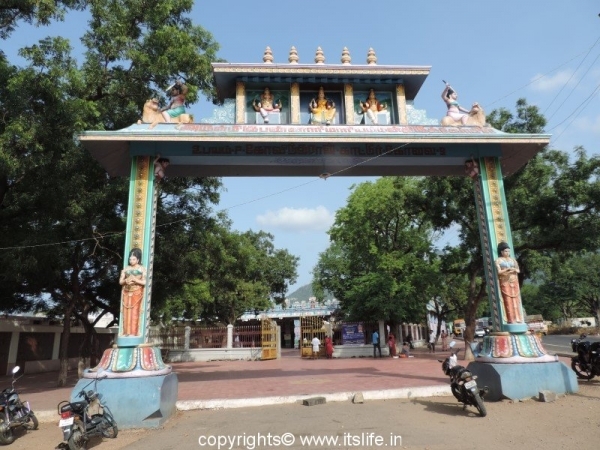 From his words it was understood that the traders from Tamil Nadu traveling to Mysore were protected by the goddess Bannari Amman from the wilderness of the region. Initially, a shelter was provided by the cowherds. Later the gopuram / tower was built. Over the years, devotees extended the Bannari Amman temple. 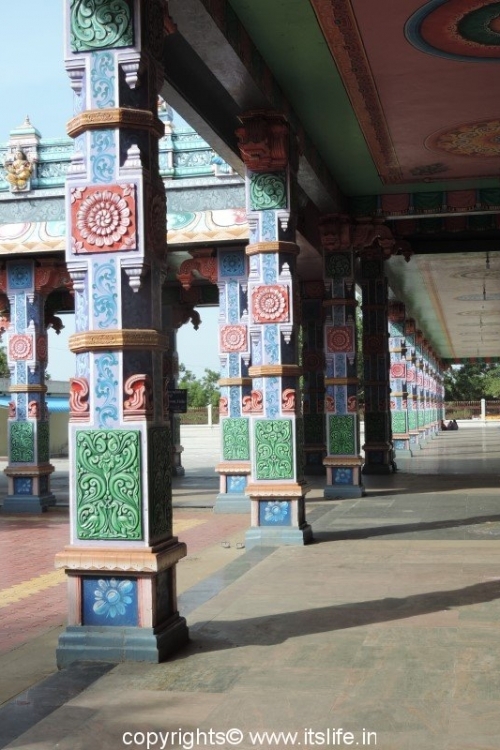 In 1967, the 24-pillared hall known as Shobana Mantapa with carvings was built. The other two halls are known as Artha Mantapa and Maha Mantapa. 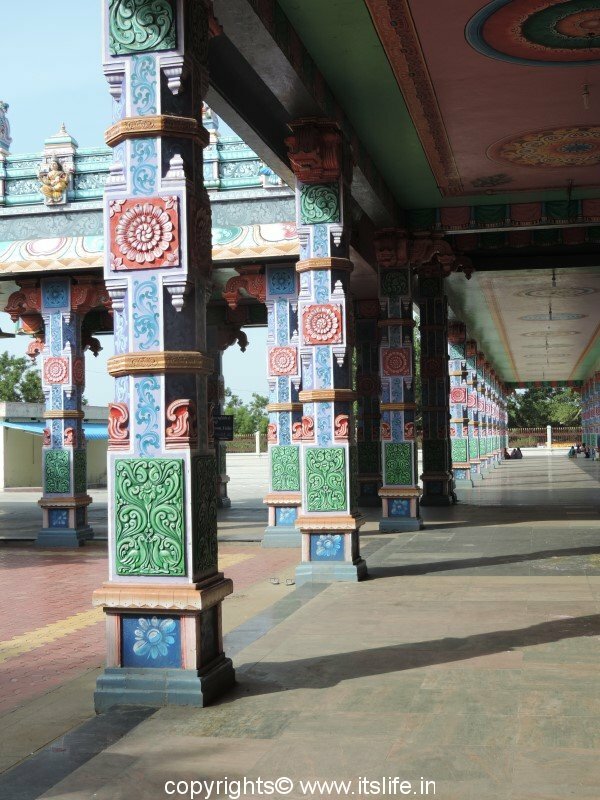 There are separate shrines around the temple dedicated to Vinayaka, Bommarayan, Madeswara Saragu Mariamman, and Muniyappa. The whole temple is beautifully painted. 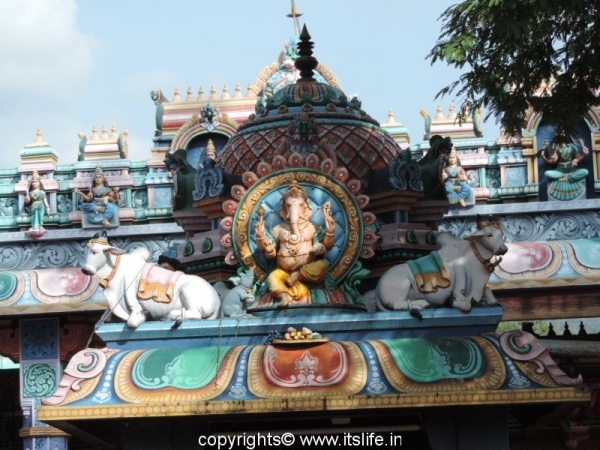 You can feel the energy inside the Sanctum sanctum and the divine blessings of the goddess go a long way in life. Around the temple are verdant hills and valleys. The forest is home to many wild animals and a variety of flora. The last Friday of every Tamil month, women devotees participate in Thiruvilakku (divine oracle) pooja. The main festivals celebrated here are Golden Chariot festival and Kundam festival. Facilities: Rest room available. Boarding and lodging facilities are also available. Tiny snack shops available. 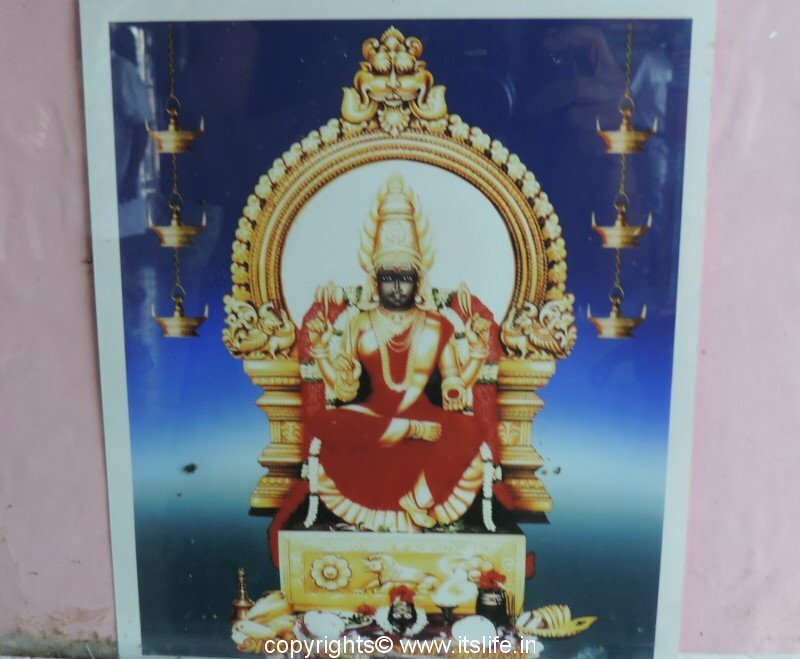 Temple timings: 5:00 a.m. to 9:00 p.m.